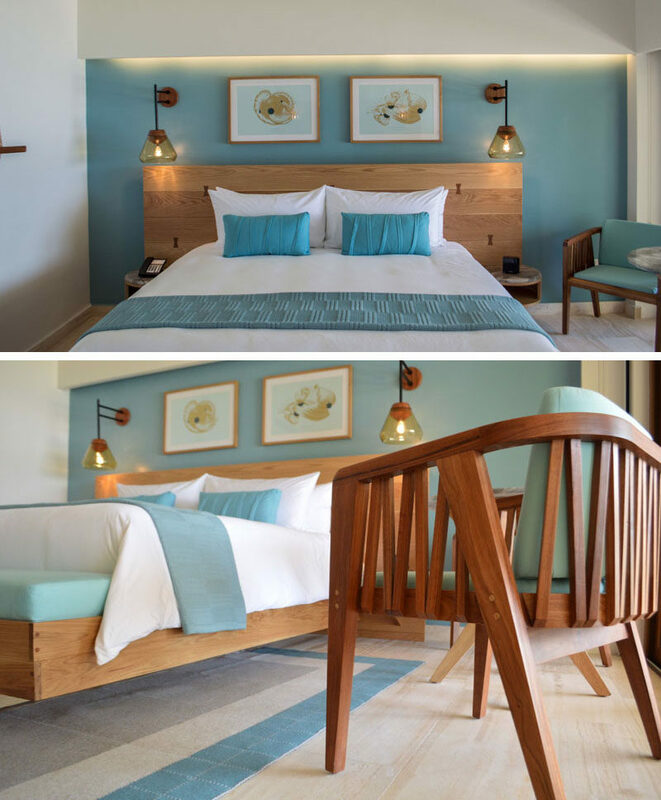 When design studio mob were tasked with redesigning the rooms for the InterContinental Presidente Hotel in Cozumel, Mexico, they chose specific accent colors for each room and they used them repeatedly to achieve a cohesive look. Some rooms have a theme of green, while others have a blue. 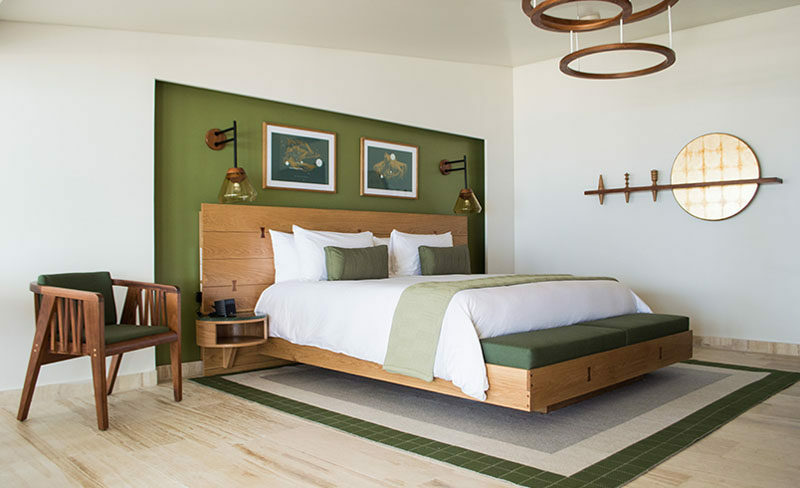 They introduced these colors into the rooms by painting a section of the wall behind the headboard, adding pillows and throws at the end of the bed, having a rug under the bed with a border the same color, and also by including chairs with colored upholstery.